Pandemic 1 is a game of strategy where you have to design and think of a line of attack so as to succeed. 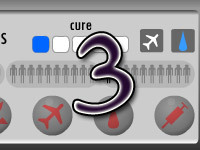 In this morbidly entertaining game, you are given various options so that you can design a deadly virus which can affect humans across countries. Humans are portrayed as intelligent creatures who can find a cure given some time. So you have to get your disease going strong from the start of the game so that you can win the game. 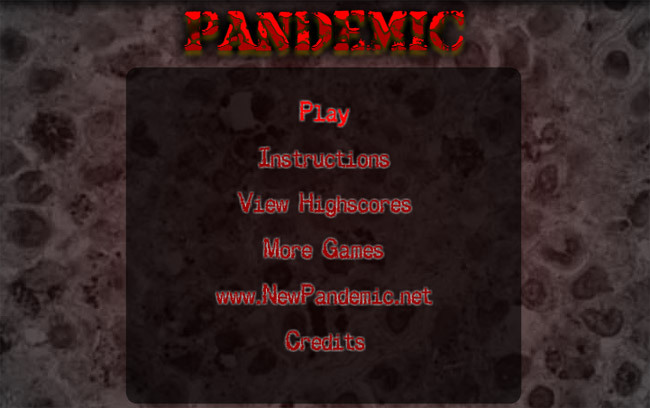 Pandemic is usually a single player game and multiple levels of the game are available for play. 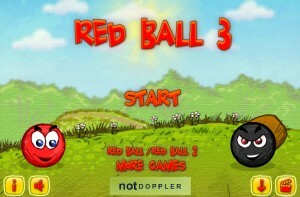 The objective of the game is that you should create a virus that can create as much damage as possible within the time the governments get alert and the scientists are able to find a cure. You should be able to create a strain that can evolve so that it is difficult to detect and difficult to contain. You will need to have evolution points to design the strain of virus or bacteria to your liking. Adding any additional character traits to the disease spreading germs will require these points. News panel – There will be a news panel on the side of the game screen where highlights of news that have been happening in the region are displayed. 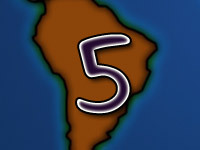 Map – Different countries can be clicked on to know the statistics and information of the virus in each place. 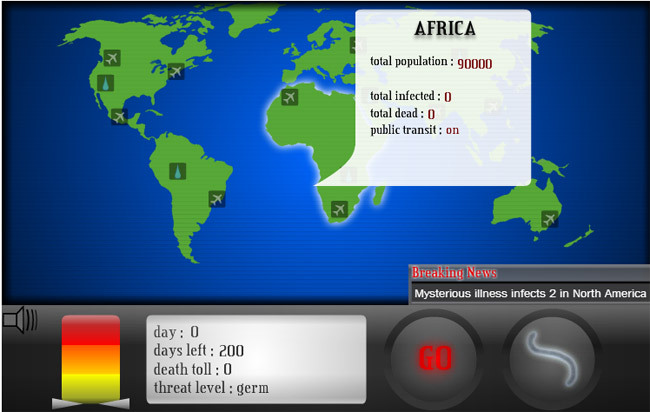 Information Block – The information block at the bottom of the game screen gives details on the percentage of the population that have been wiped off by the virus and the percentage that are healthy. Points – The number of points you have will determine the course of action you can take. 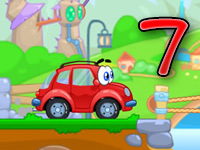 For any action, a specific number of points are required. 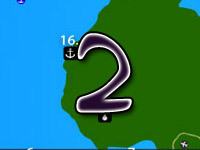 If you do not have any points, you cannot take any action and you have to end your turn so that you might gain points to continue play. Cure – There are five bars under the head of cure. As the humans get close to finding a cure for the strain of virus you unleashed, the bars fill up. Modify – By clicking on the modify button, you can modify the lethality, infectivity and drug resistance characters of your disease. Increasing the strength of these characteristics will require points. The objective is to infect the whole human populace with the virus so that the human race becomes extinct. This is the point when the game is supposed to be won by you. To do this, you will have to strategise so that the disease spreads across countries and continents. To spread your disease, you can make the disease air borne, water borne or the disease can be infected from person to person. Airports can be infected to spread the diseases to other countries and continents. The breaking news section of the game can come in useful in determining how to spend your points. If there is a high alert in a new country and the airports are being shut, you can concentrate on using the water route. The disease has to have low visibility so that it can spread easily to other countries before countries start taking counter measures. The recommended playing age for Pandemic 1 is 13 and up as it requires a bit of strategizing.